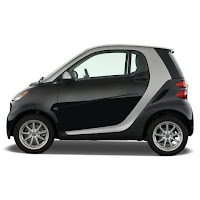 I've owned a Smart ForTwo Passion Coupe since April 2008. It is the most fuel-efficient non-hybrid car on the market. I average about 41 mpg. It has more headroom than my last car. The crash cage and airbags make it quite safe. It's reasonably comfortable on long road trips. However, it does not handle well in winter weather.